Happy New Year! December was busy with shop sewing including quite a few quilts. I’ll be sharing those and some of Annie’s handmade gifts in upcoming posts. 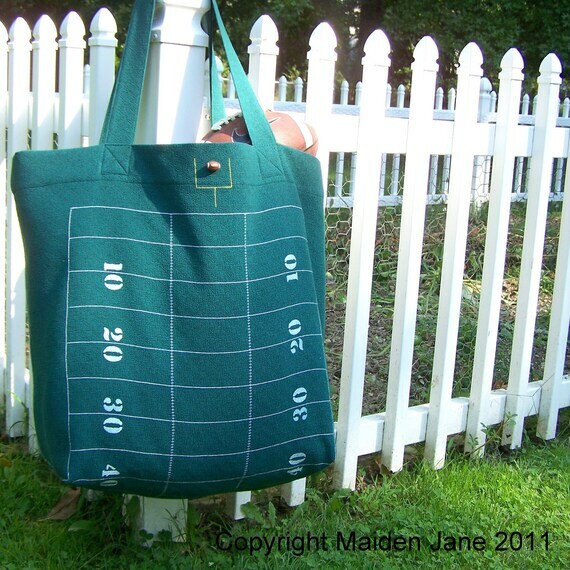 I did make a football tote for my dear friend who goes to a lot of football games with me! 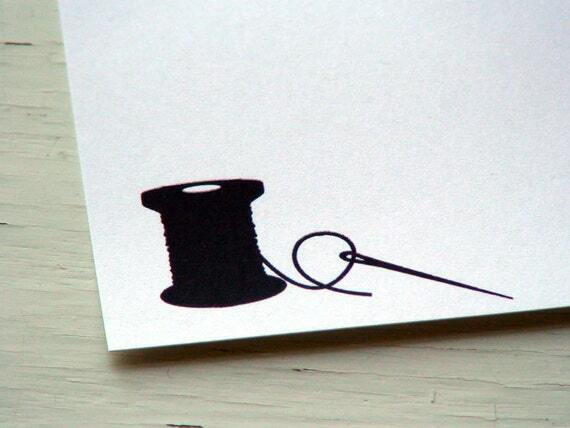 That was about the extent of my gift sewing. I designed an adult bib pattern for my niece’s grandmother that I plan to share soon. Our wonderful neighbors had a baby boy. It is such fun to knit for babies because it is relatively fast knitting. 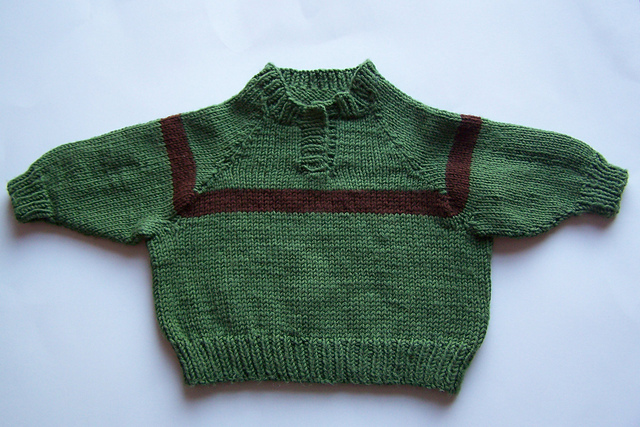 Inspired by a sweater my friend was knitting, the Child’s Placket-Neck Pullover, I decided to make a similar sweater. The details are here on my Ravelry page. Instead of following the pattern, I bought the yarn and plugged the yarn gauge into my Sweater Wizard program. 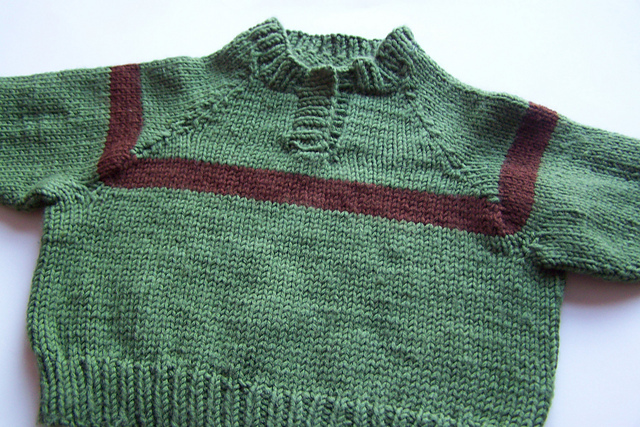 I love using this program since I usually knit straightforward patterns. You can customize the sweater size, direction of knitting, neck design, etc. I started knitting the sleeve and confirmed my gauge was correct and continued with the Sweater Wizard pattern. Our neighbors were thrilled to receive it and I can’t wait to see their little boy in it! Wishing you a creative and productive 2012! The sweater came out great. And I’ve always loved that bag!